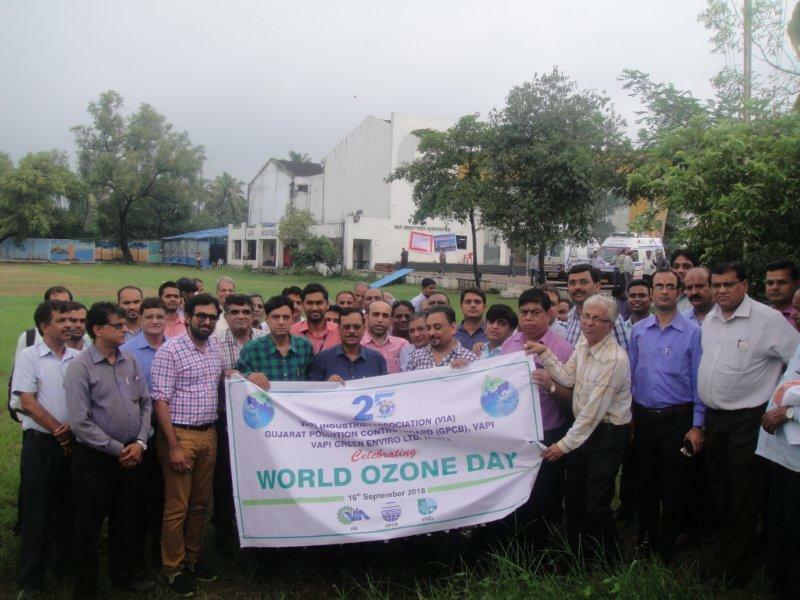 Vapi Industries Association (VIA) has celebrated World Ozone Day on 16th September 2016 at VIA jointly with Gujarat Pollution Control Board (GPCB) and Vapi Green Enviro Ltd. (VGEL). The celebration program was attended by Shri Yogeshbhai Kabaria, President, VIA, Shri Hitendrabhai Thakkar, Vice President, VIA, Shri Parthivbhai Mehta, Hon. Secretary, VIA, Shri Lalit Arora, Treasurer, VIA and Shri Maganbhai Savalia, Jt. Secretary, VIA, Shri A G Patel, RO, GPCB, Vapi and his team and Col (Retd) Ravinder Jain, CEO, VGEL and Industries Members. 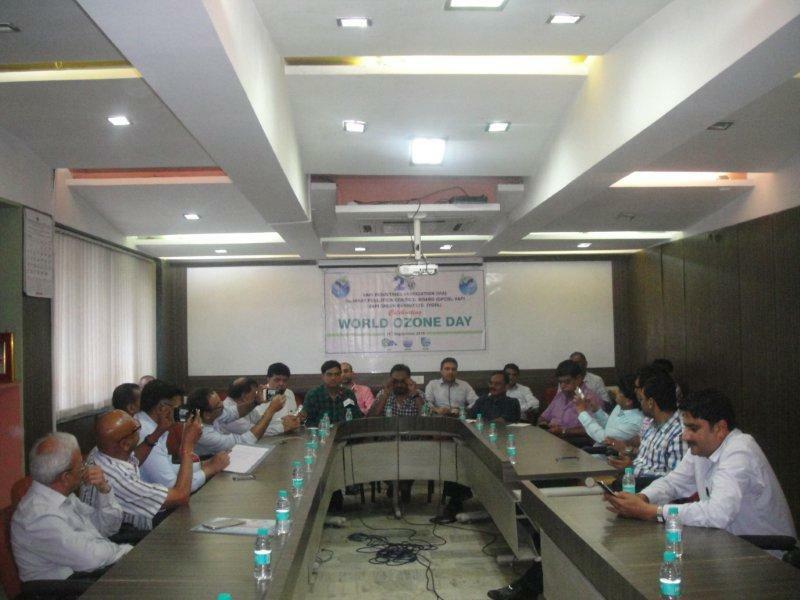 Shri Yogeshbhai and Shri A G Patel explained the importance of maintaining the Ozone Layer in the atmosphere. 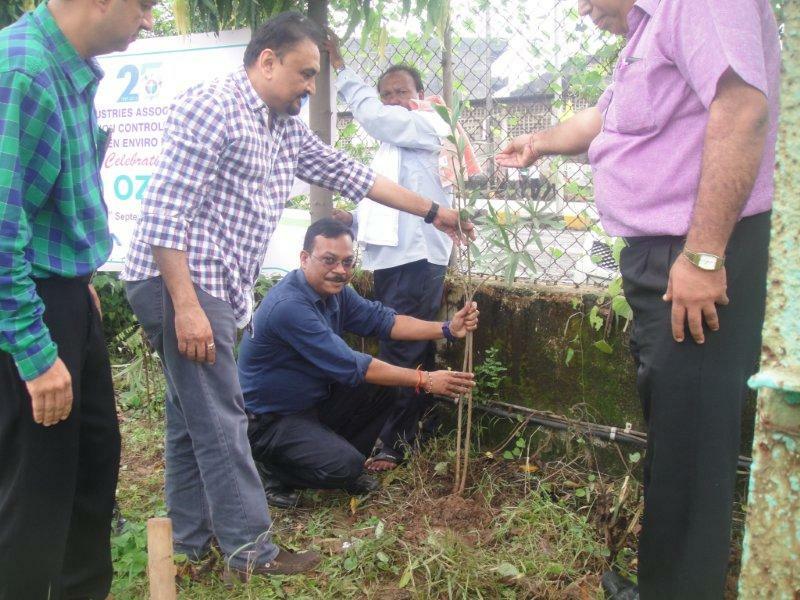 Shri Prakash Bhadra, Jt. 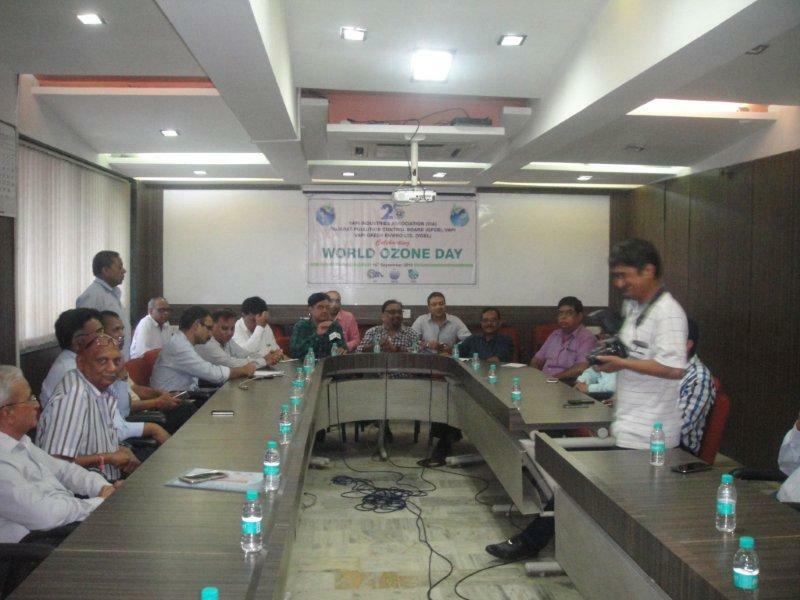 Chairman – Environment Committee, VIA conducted a quiz on Environment with the present members. 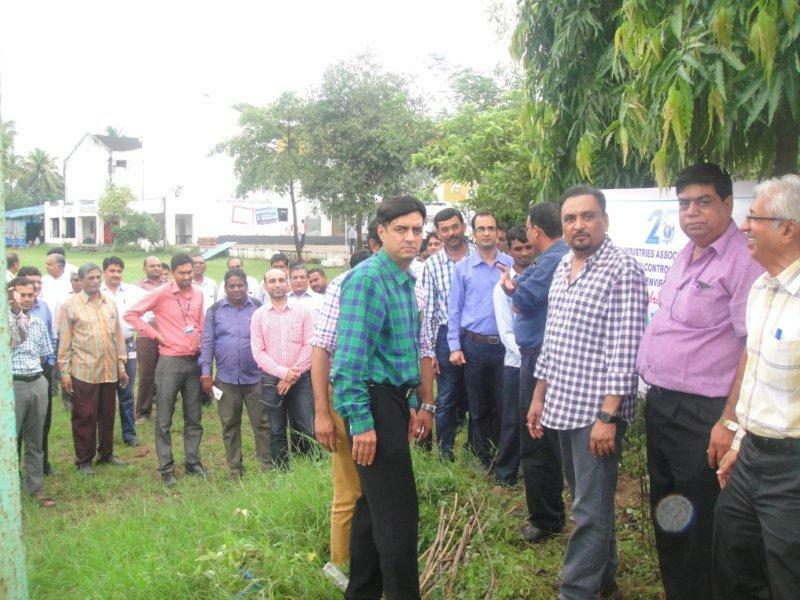 Thereafter Tree Plantation was done at the VIA Ground by the present members.